As we are nearing the end of 2016, each one of us must have made some New Year resolutions. For many, the most common personal resolutions are to eat healthy, exercise more, spend less time on phones and other gadgets, and give more time to family/ friends. But, have you thought about the improvements you want in your work life? 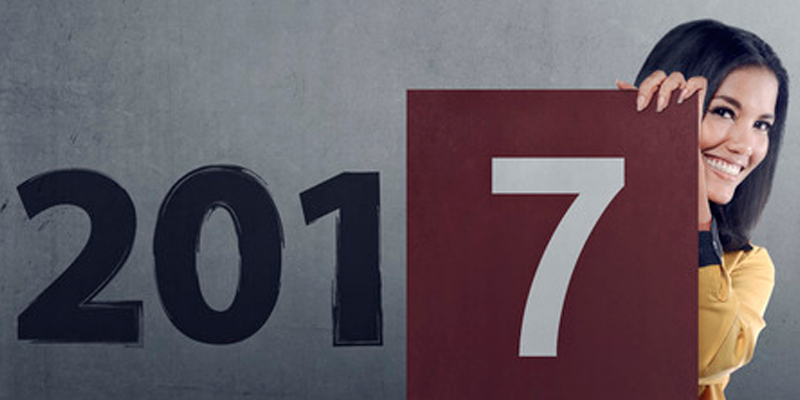 What are your New Year resolutions for 2017 as an HR professional? Being in HR, you play a vital role in keeping the workforce satisfied, helping them grow, and maintaining a competitive work culture. You need to set up effective HRM to deliver better results and build a highly-engaged workforce. So be ready to roll into 2017 and make some promising resolutions to improve workforce productivity and retain top talent. Here are few HR practices to consider. It is understood that ‘face time’ at workplace is necessary in every job. Yet, employees tend to be more engaged and responsible when they are provided flexible work schedules and feel no pressure to reach their work desks at scheduled work hours. The choices about when, how and where to work reduce stress and help employees to stay more productive. Employers must support flexible work arrangements to help employees in maintaining good work-life balance. Employees’ performance is directly proportional to their clearly defined goals. With lack of clarity in work goals, the employees typically fail to meet their manager’s expectations. They find it difficult to meet targets when they don’t even know what is expected of them. To prevent such situations, managers and employees should mutually discuss and set clearly defined employee goals in the beginning of the year. These goals need to be periodically reviewed and aligned with organization and department objectives and manager goals. Providing performance feedback is important (not only in performance review meetings, but throughout the year). If giving continuous performance feedback wasn’t on your priority list in 2016, make sure you change this practice in the new year. Employees, especially millennials, value feedback when it is given more than once a year. Consistent feedback and mentoring from managers will surely go a long way in improving work quality, workforce productivity and increasing employee engagement. 2017 is expected to bring a lot of changes in the HR departments. Affordable Care Act, minimum wage regulations, updates on the FMLA forms and maternity/ paternity leave policies are some of the issues that surfaced as hot topics in the year 2016. It is important for each organization to stay updated with current compliance regulations as per government norms to build an engaged workforce. In 2017, HR needs to make timely updates in company policies and procedures considering the ongoing changes in the HR industry. Training and development opportunities boosts employees’ productivity, engagement and retention. Employees value skill development opportunities as it prepares them for more challenging roles Make sure you continue employee training trends in your organization in the new year 2017, to develop skilled teams with great workforce productivity. When it comes to hiring skilled and high performing employees, competition is heating up for the recruitment industry. Recruiters often face challenges in finding and recruiting top talent. To avoid this dearth of top talent, it is necessary to put efforts and create strategies to retain top performers of your organization. In the coming year, be ready to identify top performers in each team and recognize their valuable contribution to keep them engaged and retained. Employee onboarding is an ongoing process for any organization. But does your company’s onboarding process supports employee engagement and retention? With the coming year, implement a well-structured employee onboarding program such that you seamlessly connect with your new hires and accelerate their productivity. An integrated online HR system can help you save time and enable you to focus on core HR functions. Automated HR systems also provide reports and analytics that can empower managers and the leadership to make well-informed decisions. Since we are a team of HR experts, feel free to connect with us. We would be happy to help you with any queries and be a part of your success in 2017.